Early Years to Year 10 and aged between 2 to 15 years. If you are interested in enrolling your child at our school, the first step is to contact us either by phone: 0945539294 or email: enquiries@huahinschool.com . We will be very happy to answer any questions or to make an appointment for you to visit us. 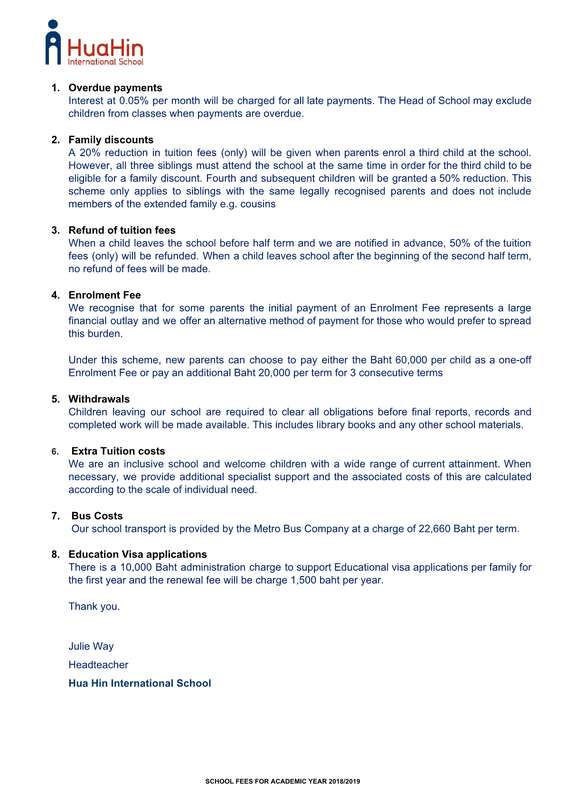 We ask that you complete our application form and include the most recent school report. We like to meet your child so that we can get to know your child a little and also assess their level of English and any individual needs. 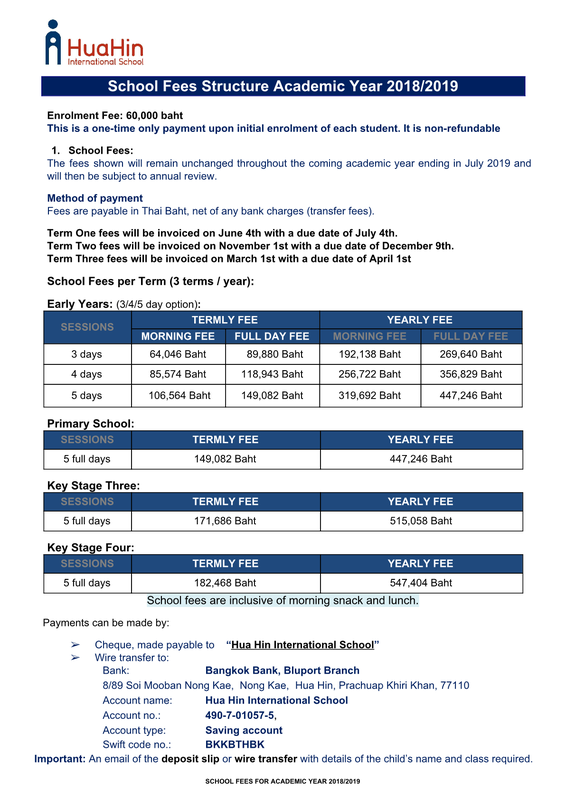 Details of enrolment fees and term fees follow. If possible we encourage pre-enrolment visits to help support the transition into our school.